Nashoba Valley Ski Area founder Alan Fletcher, Sr. will be honored with the New England Ski Museum’s 13th annual Spirit of Skiing Award on Saturday November 17, 2018 beginning at 5 PM at the Bull Run Restaurant in Shirley, Massachusetts. The award is presented each fall to a ski figure who personifies the famous Otto Schniebs saying that “skiing is not just a sport—it is a way of life.” Previous Spirit of Skiing Award honorees include the Caldwell Family of Nordic skiing, Vermont’s Cochran Family, Tom Corcoran, Penny Pitou, Herbert Schneider and Stein Erickson. Alan Fletcher grew up in Littleton, Massachusetts, where at age 4 he skied in the apple orchard at his family’s house. While in his teens, he sometimes camped atop a 300-foot hill in Westford, where years later he would start his ski area. After a stint in the Navy he graduated from Boston University in engineering and management, then traveled across the country extensively pursuing a career in engineering. 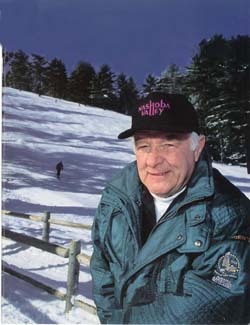 In 1963 he purchased a 39-acre parcel on Nashoba and began ski operations in 1964. In 1972 he retired from his computer career to focus on running the area on a full time basis. 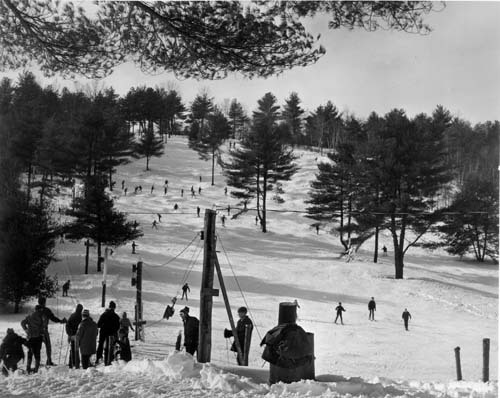 Nashoba Valley under Fletcher grew into one of the premier feeder areas in the east, introducing beginners to the sport who in time would move on to larger areas. At the same time, Fletcher encouraged ski racing, and the area was a regular stop on the professional circuit in the 1970s. Nashoba was welcoming snowboarding venue in the 1980s at a time when not all ski resorts saw the new sport’s potential, and the area built an early half pipe in 1985. The Spirit of Skiing Award is given in conjunction with New England Ski Museum’s annual meeting. A reception and short business meeting precede the dinner, and when the meal is over the Spirit of Skiing Award is presented. Cost of the dinner is $90.00 per person before October 1, 2018 or $110.00 thereafter. Tables of 8 may be reserved for $720.00 before October 1 or $880.00 thereafter. All proceeds support the non-profit New England Ski Museum. 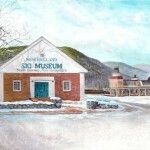 Dinner reservations may be made by calling the Museum at 800-639-4181 or 603-823-7177, or at http://www.newenglandskimuseum.com/events/ . Those interested in attending should RSVP by November 5, 2018. Overnight accommodations are available in Devens, Massachusetts at Spring Hill Suites by Marriott for $139.00. 978-772-3030. Hotel Shuttles operate to the Bull Run until 11 PM.